David Lodge, Ludmilla F. and Stephen J. Galla Professor of Biological Sciences at the University of Notre Dame and a world-renowned expert on invasive species, has accepted a nomination to join the National Oceanic and Atmospheric Administration’s (NOAA) Science Advisory Board (SAB). Established in 1997, the SAB is the only federal advisory committee with responsibility to advise the Undersecretary of Commerce for Oceans and Atmosphere on strategies for research, education and the application of science to operations and information services. The advice is an effort to help NOAA bring about its mission to better understand and predict changes in the Earth’s environment and conserve and manage coastal and marine resources to meet the nation’s economic, social and environmental needs. The SAB is composed of 15 members with balanced representation among preeminent scientists, engineers, educators and science policy experts, reflecting the full breadth of NOAA areas of responsibility as well as the ethic and gender diversity of the United States. Lodge serves as director of Notre Dame’s Environmental Change Initiative. He has extensive research experience on a wide variety of invasive species, including rusty crayfish, zebra mussels, quagga mussels and Asian carp. His research focuses on ecological forecasting to better inform environmental risk assessment, policy development and natural resources management. He has testified before the U.S. Congress on numerous occasions about invasive species and has served as an expert witness in federal court. 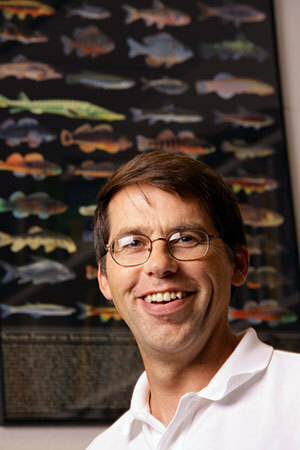 He served as the first chair of the U.S. government’s national Invasive Species Advisory Committee, led research on freshwater biodiversity as part of the Millennium Ecosystem Assessment sponsored by the United Nations and led an expert team providing advice to the U.S. Environmental Protection Agency on reducing invasions from the ballast water of ships.